A Bridging visa A (BVA) is a temporary visa. It allows you to stay in Australia after your current substantive visa ceases and while your substantive visa application is being processed. It can be granted if you lodge an application in Australia for a substantive visa while you still hold a substantive visa. A BVA does not allow you to return to Australia if you leave. A Bridging visa B (BVB) is a temporary visa. It allows you to leave and return to Australia while your application for a substantive visa is being processed. Provided you return to Australia within the specified travel period, a BVB will then allow you to stay in Australia while your substantive visa application is being processed. You can hold a substantive visa and a BVB at the same time. A Bridging visa C (BVC) is a temporary visa. It allows you to stay in Australia while your application for a substantive visa is being processed. A BVC can be granted if you lodge an application in Australia for a substantive visa but you do not already hold a substantive visa. A BVC does not allow you to return to Australia if you leave. A Bridging visa D (BVD) is a temporary visa. 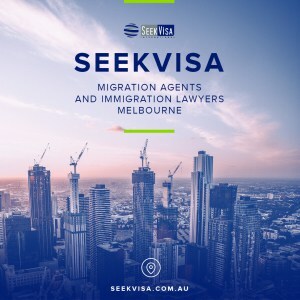 If your substantive visa has ended, it lets you stay in Australia lawfully for a short time until you are able to make a substantive visa application, make arrangements to leave Australia or are granted a Bridging visa E (BVE). It does not let you work or re-enter Australia if you leave. A Bridging visa E (BVE) is a temporary visa. If your substantive visa has ended, it lets you stay in Australia lawfully while you make arrangements to leave, finalise your immigration matter or are waiting for an immigration decision. It does not let you re-enter Australia if you leave. -Bridging visas are granted to allow you to remain in Australia while you are waiting for an application to be processed, or to provide lawful status while you make arrangements to depart the country. WHAT ARE THE DIFFERENT TYPES OF AUSTRALIAN BRIDGING VISAS AVAILABLE? If you are on a substantive Australian visa and you lodge another substantive visa application, you will be granted with a BVA which will provide you with lawful status while your application is being processed. You do not have any travel rights on this visa so if you were to leave Australia, you would not be able to get back in. However you are eligible to apply for a BVB to gain travel rights (see below). If you travel on your current substantive visa after having lodged another substantive visa application – the BVA will cease once you leave Australia. This means that you will need to apply to have your BVA reinstated on your return to Australia. If you don’t get your BVA reinstated before your current visa runs out, you will be unlawful. You will not generally have work rights on a BVA unless you apply to the Department for another BVA that has no work restrictions. To apply for this you will usually have to show you are suffering financial hardship. However if you have been nominated or sponsored by an employer for a substantive visa on skills grounds, and appear to meet the requirements for the visa, work rights will automatically be granted. Also, if you are applying for an onshore partner visa (sc 820), you will automatically be granted work rights while your visa is being processed. If you would like to travel out of Australia and avoid your BVA being cancelled while waiting for you substantive visa application to be processed, you will need to apply for a BVB. Generally, this visa is only valid for three months so after it is granted you will need to be back in Australia before the three months is up. Due to the three month time limit, you should only apply for the BVB 2-3 weeks before you intend to travel. You will need to fill in a simple form and provide this to the Department who will process the visa in a few days and notify you if it has been granted. You can hold a BVA and a BVB at the same time. If you are an unlawful non-citizen and you lodge a valid application for a substantive visa you will be granted a BVC. This applies if you have overstayed your visa and become unlawful, but have then lodged a valid application. You do not have any travel rights, so if you leave Australia you will not be able to return on this visa. You cannot apply for travel rights on a BVB while holding this visa so you cannot lawfully leave Australia (if you have an urgent need to travel you will need to contact your case officer). When you have applied for a substantive visa in Australia you might automatically have been granted a BVC – the Department will let you know if this is the case. If so then you will not need to fill out a separate form. Skilled – Regional (Provisional) visa (subclass 489). If your BVC does not let you work in Australia, you can apply for another BVC that lets you work. To be considered for a BVC that lets you work, you will usually have to demonstrate that you are in financial hardship. 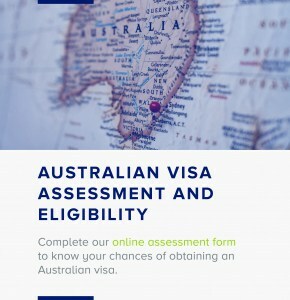 If your substantive visa has expired, a BVD will let you stay in Australia lawfully for a short time until you are able to make a substantive visa application, make arrangements to leave Australia or are granted a Bridging visa E.
Your BVD will end either five working days after it was granted or five days after the date you substantive visa ended or if you are granted a BVE within those 5 days. You must use those five days to either lodge a valid application or make arrangements to leave Australia. You cannot re-enter Australia on this visa so there are no travel rights. This visa does not offer work rights under any circumstances and if you do work, your BVD may be cancelled. If your substantive visa has ended, this visa allows you to stay in Australia lawfully while you make arrangements to leave, finalise your immigration matter or are waiting for an immigration decision. Your grant letter will tell you if you are allowed to work. If you work when you are not allowed to, the Department can cancel your BVE and detain you. You could also be removed from Australia. WHAT IS A SUBSTANTIVE VISA? A substantive visa is any visa which is not a bridging visa or a criminal justice visa or an enforcement visa. WHY SHOULD I AVOID GAINING UNLAWFUL STATUS?